Unisex pattern to fit chests from 28” to 49”. 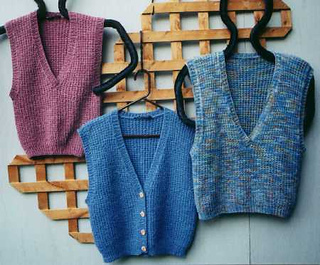 The variegated vest shown was knit in Cherry Tree Hill North Country Cotton (color Martha’s Vineyard). The solid vests were knit in Wool-Ease.